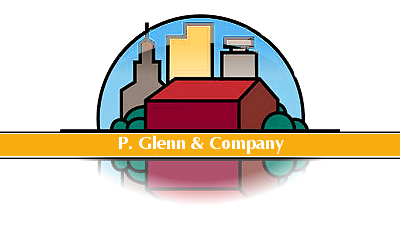 P. Glenn & Company provides certified commercial real estate appraisal services for Oklahoma City, as well as the Southwest region of the United States. The firm is trained and qualified in the appraisal of most commercial and agricultural properties including: office (from office condos to downtown high-rise buildings), warehouse, industrial plants, storage and mini-storage, apartments, mobile home parks, nursing homes, retail centers, restaurants, auto dealerships, marina, farms, ranches, subdivisions and vacant land. The appraisal of commercial real estate has undergone significant changes in recent years. Appraisal services are typically purchased by lenders today and stricter banking regulations demand that appraisal reports contain extensive detail developed under high reporting standards. The result has been higher cost for appraisal reports which are justified for larger properties where exposure is greater. However, the smaller, non-complex properties are often penalized by disproportionate appraisal cost. P. Glenn & Company recognizes the need for appraisal services which conforms to the highest standards, but which are tailored to the complexity of each individual property and makes every effort to hold appraisal costs in balance with the size and complexity of the property while insuring that the report meets banking and industry reporting standards and provides the client with a dependable tool for loan underwriting or asset valuation. Copyright © 2014, P. Glenn & Company. All rights reserved.